Children’s app publisher TabTale has today announced its acquisition of Coco Play Limited, a Hong Kong and China-based developer of educational apps and games for children. 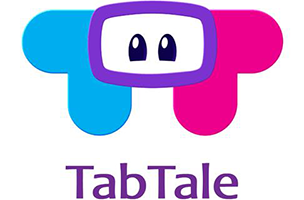 The deal will see TabTale extending its reach into China and is part of the company’s goal to expand its overall global presence. Via the deal, Coco Play’s team will join TabTale, bringing its apps’ two million monthly active users into TabTale’s community. Coco Play is behind popular apps including Coco Princess and Amazing Coloring Studio, which have reached the spot of “No. 1 free kids app” in territories including China. TabTale’s apps have crossed 300 million downloads, but TabTale hopes to reach more than 500 million before the end of 2014. Its also hoping for success with its Crazy Labs publishing brand, which focuses on games aimed at a teenage market. Two games, Air Hockey Mania – Disky, and Tip Tap Monsters, have already been released under the label. You can follow TabTale’s many games and apps on AppData, our tracking platform for mobile and social apps and developers.